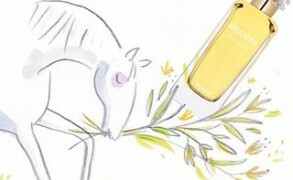 Those of you who enjoy eaux de cologne know how refreshing and uplifting these citrus accented fragrances can be. The effervescence of bergamot peel and orange blossom gives a jolt that I find comparable to a cup of coffee. Even if the buzz wears off quickly—citrus perfumes are quite volatile—the initial effect is rejuvenating. But what took me longer to understand–and what I discovered via the iris inflected Thirdman Eau Moderne—is how elegant and versatile citrus colognes can be. Thirdman is a newcomer to the modern cologne arena, and its three colognes, Eau Monumentale, Eau Profonde and Eau Moderne, feature different takes on the classical citrus idea. Eau Monumentale has a soft mimosa note, Eau Profonde layers citrus and amber, and my current favorite, Eau Moderne, intertwines bergamot with salty iris. Like a crisp white shirt or a little black dress, it feels appropriate for any occasion, and on days when I cannot make up my mind on what I want to wear, my black shift dress and Eau Moderne end up working as a foolproof ensemble. 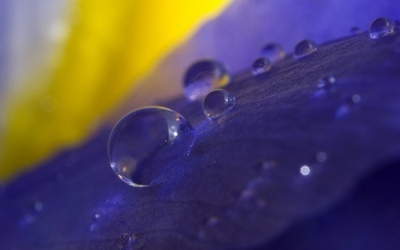 The cool iris note appears even before Eau Moderne absorbs into my skin. It smells of frozen roots and green leaves, austere at first and more languid and warm as the perfume develops. The zesty bergamot note that suggests Earl Grey tea adds a tart accent to the dove grey iris, while the peppery bite present in this bitter citrus fruit makes Eau Moderne sparkle. This “iris tea” illusion is the reason I kept revisiting Eau Moderne, but what hooked me in the end was its polished character. The accents are on the salty notes, rather than the sweet ones, which make Eau Moderne classical, but the seamless manner in which the citrus brightness melts with the soft woods in the drydown is quite modern. Compared to my other salty iris favorites, Chanel 28 La Pausa and Divine L’Homme de Coeur, Eau Moderne is more streamlined, but it also feels more relaxed and comfortable. Like all colognes, Eau Moderne can be used as an instant refreshment, but it also lasts well enough to be worn as a perfume. The musks and woods anchor the iris and citrus notes, and even the late drydown has a pleasant tangy quality. 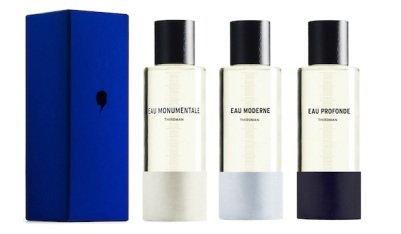 Eau Moderne doesn’t fizzle out; it maintains its uplifting sensation. 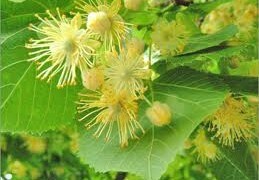 Of course, don’t expect it to be a sillage bomb, but for a citrus perfume, it has great presence and tenacity. Thirdman Eau Moderne is available from Aedes, Neiman Marcus and Bergdorf Goodman. 8.5oz bottle ($150); 1.7oz spray bottle ($75). Victoria: I think that anybody has likes classical colognes will enjoy Eau Moderne. It is easy to like, easy to wear, but it has enough complexity to be interesting. And if you like iris, you will like it. Martyn: Thanks, Marsi. Agua de Colonia, yes, I had a big bottle the same, a big red top and smells gorgeous! Victoria: I don’t think that it is available in the UK yet. It only just came out in the US. In stores, I’ve only seen it at Aedes and Bergdorf Goodman so far. Both stores were very generous with samples, the way they tend to be with all of their new lines. Your discussion of cologne with Marsi made me wish I had some on hand today. It feels very stuffy and humid outside; a splash of cologne would feel so good.